Railway plays a crucial role in Social life and more than 13 Lakh employees. 96 paisa is expenditure in each Rs 1 earn. It is surprising that even after monopoly railway fail to perform. 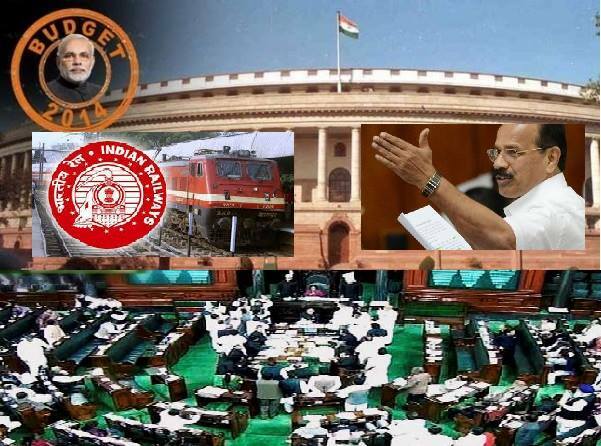 Railway need 5 Lakh Crore for next 10 years, 359 projects are pending. Neither social nor economic goals are achieved fully. Bullet train is costly each train requires 60000 Crore, two solution are Investment by PSU Companies otherwise private companies which may be FDI. FDI in railway for various projects only but not for operations. Railway FY2013-14 Results: Rs. 3783 Crore profit with total 1.49 Lakh Crore earning. Railway passenger is expected to rise by 2%. Following are facilities through PPP in coming days: Foot over-bridge, water, facilities to senior citizen and battery cars on platforms. Online booking for railway waiting room or retirement rooms on major stations. Food courts in major railway station and packed branded food in railway. Cleaning is major challenge for railway station and it will be outsourced to Pvt. companies which is specialized in cleaning and monitored via CCTV and third party inspection. Rs.1785 Crore for Road Under-bridge and over bridge. 21000 RPF Constable recruitment for Railway security purpose which includes 4000 Women RPF Constables recruitment in Railway for year 2014-15. Special trains for Tourism and religious circuits across India. Special scheme for railway employees and scholarships to children. Indian railway to start bullet train between MumbaiAhmadabad. RO Water in trains in coming days. High speed trains between metro cities with speed of 200 km/hr.